Datatag ID Limited, the power behind the CESAR scheme, attended Tillage Live for the fifth year at the invitation of The Agricultural Engineers Association (AEA) industry supporters of the CESAR scheme. CESAR passed the 50,000 mark in March 2011 and the 100,000 mark in October 2012. The 150,000th CESAR registered machine appeared at the Hillhead exhibition in June and already cumulative regsitrations exceed 160,000. 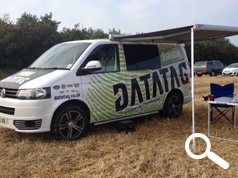 Datatag ID Limited also have security systems for many other pieces of equipment including motor bikes, cycles, 4x4s, trailers, outboard engines, power tools, Jet Skis and equestrian tack. 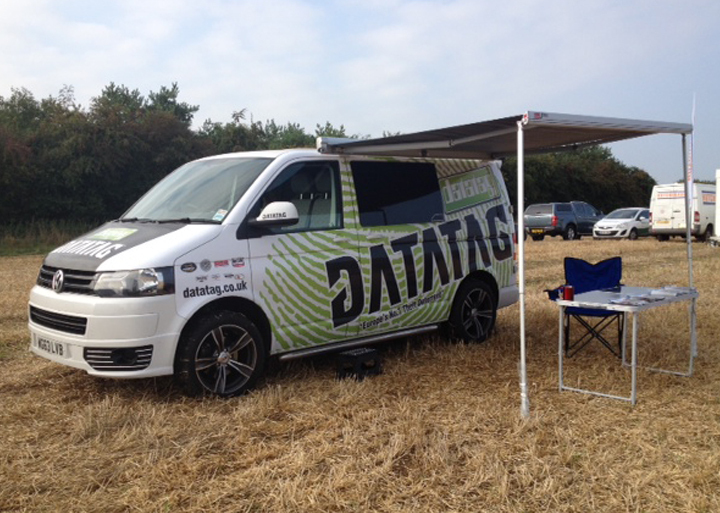 The bespoke Datatag vehicles can also be seen exhibiting at the British Super Bike rounds for the remainder of this year as part of Datatags BSB sponsorship deal for the second year running.